Anybody here got any good advise on how to get these horrible ATA's (SPA-122) to work for longer than 2 days without crashing and needing to be rebooted? I guess the first question is what you're trying to do. I have a lot deployed with no issues. I have one on the end of a UFB connection (Well a SPA-112 but basically the same) for maybe a year with no issues at all. What version are you running? I am running 1.3.1 (003) Dec 17 2012 Version . There is 1.3.2 as well but it doesn't seem to fix any problems I've encountered but must upgrade. I've spent hours on web chats/phone calls/remote desktop with Cisco and found the issue... But no solution yet. In my network I have 5 VOIP ATAs- 3x SPA122, 1x SRP521 and 1x fritxbox. Only the SPA122s have issues. After a random time each would eventually disconnect from 2talk and not successfully re-register. The Voice page status would show the line as either Registered but no time to re-register, or failed. A reboot would not normally fix the issue. Changing and committing any setting within the device would fix it. I am with Snap internet (VDSL) and over the last 6-12 months, the shared driveway copper which the service runs on has been degrading (again). 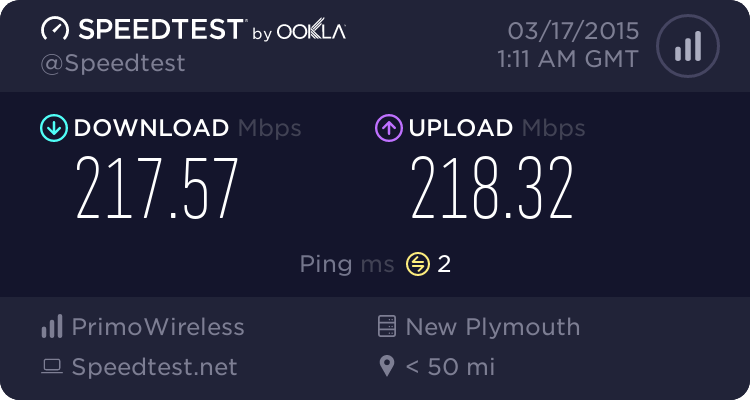 My connection went from 45-50Mbps down to now 31Mbps. This also has brought more frequent disconnections. This is where I believe the problem lies. Each device issue can be tracked back to a disconnection of my VDSL. It seems that when I lose connectivity to 2talk, the SPA122s can't cope. I have also tried this in a lab environment removing internet access to a device, but keeping internal network connectivity, and some of the time I can replicate the issue. Cisco currently still have an open ticket for me, as I want to get these three units replaced. Still waiting for an outcome on this. I recommend to not buy the SPA122s. Its superseded brother - the PAP2T was an awesome device. I also have this running on another network, and it works perfectly!. I have one SPA-122 behind a Zyxel VDSL2 broadband modem/router connection and every couple of days it crashes, I say crashes because I can't even get into the web GUI and just the power light is on and another flashing, I think one of the phone lights. The VDSL2 modem is one from 2talk provisioned by them and ATA my own. I have tried the provisioning from 2talk and my own and both crash. I am on my third ATA so just in case I have a faulty one or two. I am using firmware version 1.3.2_014 which I think is the latest. techmeister: Thanks for the replies. After changing these 3 settings the SPA-122 has happily stayed connected ever since. I would default the ATA and start from scratch the with auto-provisioning from 2Talk. Are you certain you don't have an IP conflict any where? These ATA's are pretty sweet. Never really had any issues and any issues I have had were due to wrong configuration by me. The problem Techmeister has was the same problem as what I had and it didnt matter whether I auto provisioned it or manually put the settings in. The same thing happened. It happened at my place on my modem and also on the Church modem I changed the settings as I mentioned above and problem solved in this case. I've had a problem with my SPA112 ever since I moved to VDSL2 (Telecom) too. My VOIP provider is Internode in Australia. The issue is most of the time when an inbound call comes in and I attempt to pick it up all I hear is garbly stuff (not static, but not recognisable). If I press the hangup button it immediately starts ringing again and if I answer I get the same garbly. The only way to fix this is to reboot the device. The person calling me doesn't hear me attempt to answer it, it just rings out and goes to voicemail. Once I've reset the device the person can call me again and I can answer normally (until it happens again). This morning I was expecting a phonecall so I checked for a dialtone <10mins before the inbound call came (which went garbly on pickup). Because the phone starts ringing again immediately after the issue occurs it looks like its maintained its connection to the sip server, but I'm really at a loss of what to try next. Has anyone seen this before? Bit late with this post sorry. Just thought I would thank all the people that replied and to let you know what the issue was. This seems to be due to a bad connection within the building, I just play around with the wiring and it all seemed to come right so I still don't know exactly where the problem was but if it happens again I will just replace all the wiring from the ETP to the modem. a reminder to everyone that internal wiring is often the cause of internet issues. This also reminds me that you need a near perfect BB connection for VOIP to work reliably. I did do away with 2talk's TLS provisioning very early in the process but I am sure it would work ok now with the BB fixed. I did find that using UDP and not TLS or TCP made the SPA122 recover from a reg failure much quicker and no reboot needed. The SPA122 has been very working flawless ever since fixing the BB and on UDP reg.